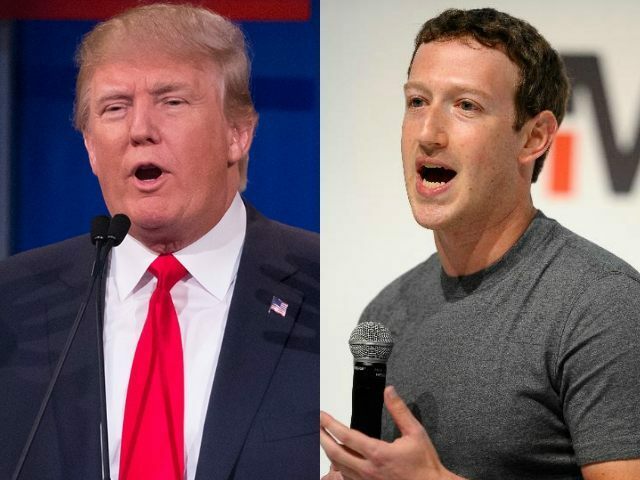 In all the drama surrounding Facebook’s recent meeting with “leading conservatives” and notable Never Trump leaders such as Glenn Beck, Brent Bozell, and S. E. Cupp, it’s worth remembering that there is a real issue underlying the animus between Facebook founder Mark Zuckerberg and presumptive GOP nominee Donald Trump: immigration reform. Donald Trump launched his bid for president on the issue of stopping illegal immigration, and once he took a commanding lead in the polls he never looked back. That’s why it’s significant that Zuckerberg’s Facebook would be helping to define conservative “leadership” as having its base within the motley crew of Trump’s detractors. Mark Zuckerberg was one of the high-tech leaders who came out strongly and publicly in favor of the “Gang of Eight” immigration reform bill. Zuckerberg lent not just his celebrity to the cause of promoting amnesty but also a significant amount of lobbying money. The brief makes a business argument for Obama’s 2014 executive actions on immigration, saying they have the potential to increase gross domestic product by hundreds of billions of dollars over a decade if allowed to go forward. ‘Instead of inviting the economic contributions of immigrants, our immigration enforcement policies have often inhibited the productivity of U.S. companies and made it harder for them to compete in the global marketplace,’ according to the brief. Visa reform is particularly important for these tech titans because immigrants have played such an important role in Silicon Valley. Remember, this all happened two years before Donald Trump announced his candidacy. Zuckerberg had laid down the gauntlet as an advocate for immigration reform, and Donald Trump’s candidacy represented an existential threat to both Zuckerberg’s political goals and financial investment in the immigration issue. But in order for the tech companies to get what they wanted as regards H-1B’s, they had to make a deal with the likes of members of the Gang of Eight, such as Chuck Schumer and Marco Rubio. The deal as proposed by the politicians was straightforward: offer your support for the broader goals of immigration reform, and we will get you what you want on H-1Bs. That was the deal that was made, which led to such spectacles as Mark Zuckerberg supporting a coding event for “dreamers,” or the illegal aliens who were brought to this country by their parents. It’s important to remember that the current issue with Facebook censoring trending topics and skewing the results is about more than just free speech or how the new and ubiquitous social media infrastructure is affecting political messaging. Zuckerberg himself has a vested political interest in the outcome of this election. Of course, it’s doubtful that any of the “leading conservatives” in attendance brought this point up.